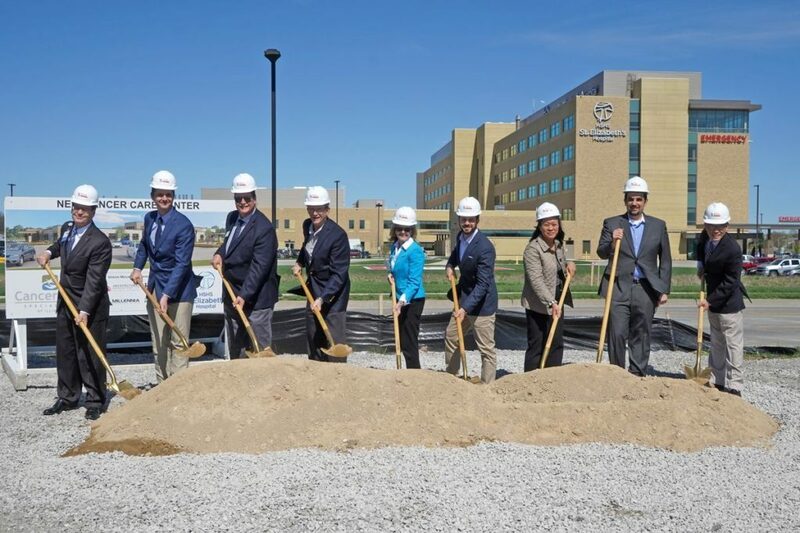 O’FALLON, IL – HSHS St. Elizabeth’s Hospital and Cancer Care Specialists of Illinois held a ceremonial groundbreaking to highlight the future site of a new cancer care center that will offer comprehensive cancer services to patients in the metro east region. The radiation oncology center is expected to open in early 2020. 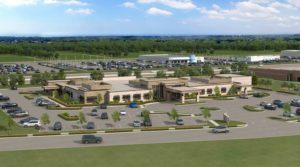 The 31,000 square foot comprehensive cancer care center, located at 321 Regency Park in O’Fallon, will be constructed by Green Mount Enterprises, LLC, with space being leased to both HSHS St. Elizabeth’s Hospital and Cancer Care Specialists of Illinois. 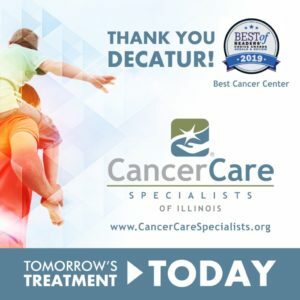 St. Elizabeth’s is the only American College of Surgeons Commission on Cancer designated cancer program in the service area of southwestern Illinois. “This comprehensive and multidisciplinary patient-centered recognition, coupled with the advanced radiation oncology services offered in the new center, will bring innovative treatment and experienced cancer specialists to the community,” Fischer added. The clinic will benefit patients from across the region, especially those from smaller communities served by St. Elizabeth’s sister hospitals of St. Joseph’s in Highland, St. Joseph’s in Breese and Holy Family in Greenville. Photo – Ground was officially broken for Cancer Care Specialists of Southern Illinois and HSHS St. Elizabeth’s Hospital’s comprehensive cancer care center in O’Fallon, Illinois on April 12, 2019. Pictured from left to right are James Dover, president and CEO of HSHS Southern Illinois Division, Dr. Justin Floyd, Sid LeGrand, president of the O’Fallon-Shiloh Chamber of Commerce, City of O’Fallon Mayor Herb Roach, Patti Fischer, president and CEO of HSHS St. Elizabeth’s Hospital, Dr. Mark Walshauser, Dr. Mary Ann de Paz, Dr. Bassam Maalouf and Dr. Benjamin Esparaz.